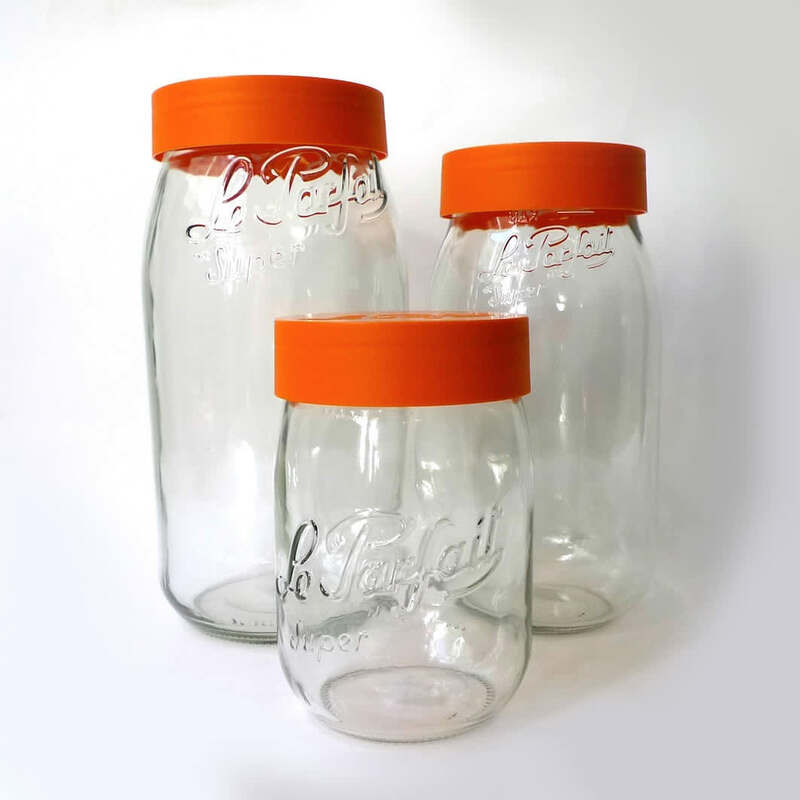 Le Parfait orange lid jars, just known as “orange lids” here. We don’t usually stock any branded goods but allowed these since their logo is so great. They are too good-looking to put in a cupboard. You can use these for dry storage or pickling.